Katie first worked at The Leonard Elms in 1995 as a care assistant. Leaving to undertake her diploma in adult nursing, Katie soon established herself as an accomplished NHS community nurse in Worle. 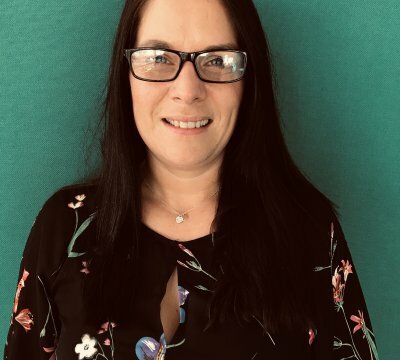 Katie first worked at The Leonard Elms in 1995 as a care assistant leaving to undertake her diploma in adult nursing Katie soon established herself as an accomplished NHS community nursing sister working in the local Worle integrated Care Team. Katie has gained a wealth of clinical nursing and assessment skills developed in her practice, dealing with complex patients requiring multi disciplinary support and management. Katie held her first management role in the NHS leading a community nursing team responsible for case management of patients in their own homes that required district nurse input. Katie returned to The Leonard Elms in 2017 now working for Optima Care as a Deputy Manager in The Leonard Elms supporting the care home team to deliver outstanding services to their residents, families and friends. Katie oversees the clinical delivery, good practice in personal care and safe use of medication within the home monitoring care and providing feedback to staff and the home manager. A key link with all professional clinicians and outside agencies that the home interacts with; Katie acts as duty manager for the home in the absence of the home manager. Katie likes to travel; entertain and dine out, but ensures she is around to support her graduate grown up children when they need her.